We’re starting to get to the most interesting section of the Australian Open; the deadwood has dropped out, and the contenders have been showing their tennis prowess. But because I am usually very bad at making predictions before a tournament starts, I have refrained from claiming I could work out who may make the semi-finals down under. However with the Round 3 draw now set, and more of a grasp of player’s form and fitness, here are my predictions for the women. This women’s draw is looking very interesting indeed, with the second half of the draw a lot more competitive than the first. In the top block, the world No. 1 Victoria Azarenka is currently looking to power through to Round 4 with a match up against USA’s Jamie Hampton. Azarenka should stroll through to meet (and probably defeat) Roberta Vinci from Italy, where she will then face 10th seed Caroline Wozniacki in the quarter-finals. This should be a very interesting match, and will be one of the toughest to call. I personally would like to see the Dane reach the semi-finals, but with Azarenka having had such a strong year last year, she looks likely to continue her purple patch and set up a semi-final against Serena Williams. That is, if the American manages to reach that far. And the way she is playing, she should – dropping just 2 games in her first two matches. However there is one player who could well cause an upset in Serena’s section: Laura Robson of Great Britain. She just beat former Wimbledon Champion Petra Kvitova in a three-hour marathon of a match, and is set to face American Sloane Stephens in round 3. If her fitness holds up in the tough conditions of over 100 degrees down under, she will find unseeded opposition in the quarter-finals. If she manages to get through that, then a quarter-final match could well be on the cards against Serena Williams. But Williams is looking strong, and Robson’s run may be over, after reaching the last 16 – in what would be a career high. In the bottom half of the draw, second seed Maria Sharapova has smashed her way through her first two rounds, dropping zero games, and winning in under an hour in both matches. However a match up against Venus Williams is not going to be as easy in Round 3. 7-time Grand Slam winner Williams has played well in the early rounds, but I feel Sharapova’s double-bagels will have given her confidence to progress through to a less challenging Round 4 against unseeded opposition; with Savinykh or Flipkens. In all probability, she will have to face Angelique Kerber (who should have defeated Marion Bartoli in Round 4), in the quarter-final. Sharapova is the favorite from these two, and in all honesty, I wouldn’t be surprised if she took the game with the way she has been playing – but I’m gunning for the German, and think she will build on last year’s incredible breakout year. Simply, and somewhat bravely, I think whoever moves forward in this match, will win the Open. The interesting section of the draw however, is the one which carries Jelena Jankovic, Ana Ivanovic, Agnieszka Radwanksa and underdog Heather Watson. Despite feeling an affection for British player Watson, I think Radwanksa will prove too much of a challenge for her. It’s the battle of Belgrade when Ivanovic faces Jankovic in Round 3, which will be a strong and entertaining match. However I feel the former finalist Ivanovic will outdo her countrywomen, and reach Round 4 to meet Polish opposition in Radwanska. In all honesty, I can’t really call this one. Ivanovic is so inconsistent that she could either have the game of her life, or fall flat on her face. So I’ll leave this prediction for now. In the other section of this draw, we have Li Na who was the first Asian woman ever to appear in a Grand Slam singles final, and that was in this very competition two years ago. She looks as though she has the easiest run to the semi-finals, facing 27th seed Sorana Cirstea in Round 3, and either Julia Goerges or Jie Zheng in Round 4. 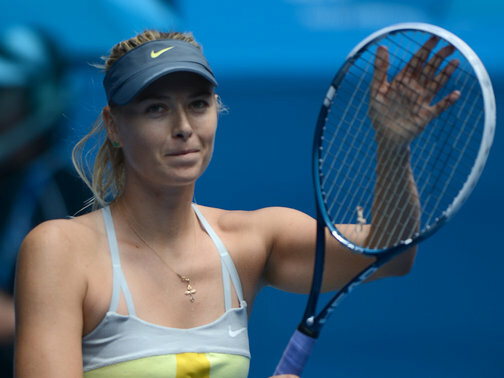 She should reach the quarters with ease, where she will face either Ivanovic or Radwanksa. I am still having trouble deciding who will win that one, but my head tells me to go for the latter, so Radwanska has my money. But whomever Li Na plays, I think she is in fine form and should defeat either, so she goes through to make a semi-final match up with Kerber.